Yet futurism was a movement animated by contradictory ideas, constantly oscillating between science and art, the rational and the irrational, future and past, mechanical and spiritual. Indeed, it may well have been these very tensions and frictions that gave futurism its dynamic force. Defining the futurist movement and analyzing its aesthetic is not an easy task. To the casual observer the futurists seem to present a united front, unified by the charismatic personality of Marinetti, but analysis shows them to have been highly diverse intellectual personalities, each with slightly different opinions and conceptions of life and art and sometimes in open and violent opposition to one another. They may have found themselves (for reasons of convenience, if nothing else, and perhaps sometimes opportunism) under one ideological roof, but individually they maintained autonomous physiognomies and attitudes and peculiarities of their own. It seems, then, impossible to hope to find coherence inside the different poetic positions of the futurists, let alone to formulate an organic presentation with which they would have been satisfied. Marinetti's work and personality succeeded in maintaining a certain order, at least in the beginning. It is well documented that Marinetti initially subsidized all the initiatives of the movement (including publications and exhibitions), and, like a good impresario, he reserved the right to supervise the work of the other artists of the group, to the point that all the first futurist manifestos unquestionably ran the gauntlet of Marinetti's censorship; this explains their similar tone.4 But in the privacy of living-room discussions or personal correspondence-or anywhere outside Marinetti's public control-the futurists' aesthetic visions diverged synchronically and diachronically; they were in continual growth and in a restless state of becoming, changing along with the shifting alliances within the movement. The other exception was Luigi Russolo. Although he was not as socially exuberant as Boccioni was, his thought was characterized by a surprising coherence of themes-many so extraordinarily close to those of his friend Boccioni as to suggest a sort of intersecting pollination between the two. Russolo was to repeat these early themes, unchanged in their substance, for the rest of his life; being spiritual in character, they corresponded well with futurism's occult side. To summarize all the instances that show connections between futurism and esoteric preoccupations at various levels-ranging from spirituality to interest in and practice of the occult arts, and also including black and red magic and spiritualism-would be an ambitious undertaking. Here I shall simply create a backdrop against which to project the fruit of research on Russolo's interest in the occult and my reinterpretation of his sound-related activities in the context of this interest. I am not the first to mention the influence of the occult arts on the futurist movement. Sporadic references to this influence can be found in volumes, catalogs, and essays on futurism and the visual arts edited by Calvesi and Maurizio Fagiolo dell'Arco. Until a few years ago the only contributing monographs available were a brief article by Germano Celant titled "Futurismo esoterico," published in Il Verri in 1970, and Calvesi's very brief article "L'écriture médiumnique comme source de l'automatisme futuriste et surréaliste," published in Europe in 1975, in which Calvesi shows connections between mediumistic phenomena and the poetics of the automatic writing adopted first by Marinetti and then by the Surrealists. To these should certainly be added Calvesi's above-mentioned 1967 classic Il futurismo: La fusione della vita nell'arte, in which occult and spiritualist themes, however eccentric, occasionally color the overall discussion. Renewed interest in the topic began first with the extensive catalog of a 1995 Frankfurt exhibition titled Okkultismus und Avantgarde, which devoted much space to the futurists; this was followed by Flavia Matitti's writing on Balla and theosophy, as well as by the handsome volume by Simona Cigliana (Futurismo esoterico), which takes its title from Celant's essay and is the most complete contribution to the topic to date. In contrast to the earlier sources cited, some of which are limited to a list of facts, Cigliana's book offers a convincing in-depth analysis of the futurists' occult frequentations, albeit primarily limited to the field of literature. The futurists' interest in the occult can be attributed to their full immersion in the culture of their period, principally inspired by French symbolism, which was in turn a reaction to Comte's mid-nineteenth-century positivism and absolute materialism. In Italy, critiques of positivism and materialism also attacked idealism, and not just in rational and dialectic Hegelian formulations but also in idealism's mainstream Italian dissemination through the writings of the philosopher Benedetto Croce. It has been maintained that interest in the occult arts and metapsychics can be attributed to the futurists' attraction to the then current understanding of science. There were those who, considering the future of scientific research, maintained that science should include among its fields of inquiry the study of paranormal phenomena and confer legitimacy upon it, since this was the natural direction toward which science was already tending. This view may be true, but it offers only a partial picture of futurism, and it bears the further defect of again putting science and technology at the center of the futurist poetic meditation, as if they were the end of this meditation instead of, as we will see, the means. Already at this stage, however, it is clear that these occult interests were poles apart from an aesthetic conception preoccupied exclusively with the "simple exaltation of the machine and exterior reproduction of movement." The futurists' interest in science was not always exclusive or absolute, and it was not always blind idolatry. Calvesi addresses this point when he writes, "Boccioni did not want a scientific aesthetics, that is, definable into scientific rules, but only an aesthetics that took the acquisitions of science into account: which is very different. "6 For Marinetti the situation was entirely similar: "Art assimilates science intuitively, analogically, by parallelism and also by benefiting from science's technical discoveries, but never by a substitution of methodologies. "7 For the futurists, science was above all a means; it was not the end of their aesthetic vision. The present chapter considers the movement's interest in occultism-alongside its interest in science and technology and its greatly underexplored interest in altered states of consciousness-as a means to achieve out-of-body experiences. Such experiences, in turn, would permit the futurists to observe reality from a hyperreal point of view, as well as to re-create reality through a new, spiritual mode of artistic creation. Subsequent chapters add Russolo's musical activity to those expressions of futurism that are indebted to the occult tradition. A more dynamic conception of experimental science led various intellectuals of the time to consider occult manifestations as phenomena not yet known because of imperfect human senses and the limitations of human research tools; sooner or later, however, the scientific community was expected to be in a position to measure, understand, and explain. Heisenberg's uncertainty principle would eventually limit, if not altogether undermine, this hope for accurate measurements. Among the many attempts to systematize ways of understanding, ranging from alchemy to metapsychics to spiritualism, and drawn from sources as diverse as the Corpus Hermeticum, medieval mysticism, the neoplatonism of the Renaissance, freemasonry, and Eastern philosophies, was the philosophy of the Rose+Croix, which is worth citing for its direct influence on artistic disciplines.12 But even more relevant was the influence of theosophy. Blavatsky's theosophy, with its comparativist and encyclopedic popularizing approach, which embraced Eastern philosophical thought as well as having numerous points of contact with scientific research, found fertile ground in the cultural context of the epoch. In fact, it became fashionable in those end-of-the-century artistic circles that still believed in romantic philosophical ideas or had aligned with the new symbolist trend. Theosophy famously called for systematic research of parascientific phenomena that would apply the same criteria used by scientific method to investigate other natural phenomena. Such spiritual research was never intended for utilitarian purposes but only for the spiritual advancement of humanity. Luigi Russolo (1885–1947)—painter, composer, builder of musical instruments, and first-hour member of the Italian Futurist movement—was a crucial figure in the evolution of twentieth-century aesthetics. 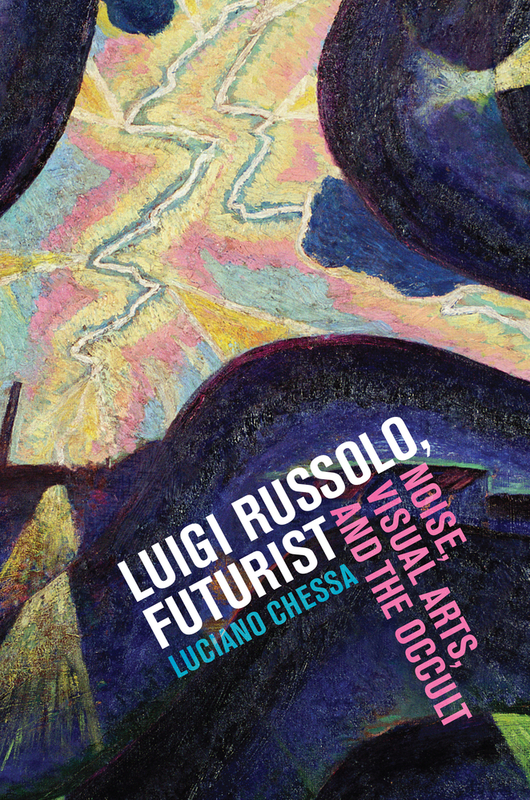 As creator of the first systematic poetics of noise and inventor of what has been considered the first mechanical sound synthesizer, Russolo looms large in the development of twentieth-century music. In the first English language study of Russolo, Luciano Chessa emphasizes the futurist’s interest in the occult, showing it to be a leitmotif for his life and a foundation for his art of noises. Chessa shows that Russolo’s aesthetics of noise, and the machines he called the intonarumori, were intended to boost practitioners into higher states of spiritual consciousness. His analysis reveals a multifaceted man in whom the drive to keep up with the latest scientific trends coexisted with an embrace of the irrational, and a critique of materialism and positivism. Luciano Chessa, a composer and musicologist, teaches music history at the San Francisco Conservatory.